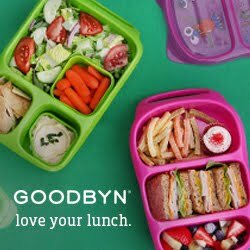 We packed our Easylunchboxes with a few pitted cherries, a corn muffin and three Goldfish crackers and a toasted whole wheat turkey bacon BLT. They also had yogurt and ice water. Hope you can enjoy the sun today! Have a great weekend! I packed my preschooler a morning snack today - that she can have anytime she needs it - in the hopes I can get a few things organized. two small peanut butter and jelly Mickey Mouse sandwiches. Thermos generously sent me some of their new products to help pack lunch for camp this summer. We reviewed the FUNtainer food jars and drink bottles at the beginning of this year and have since packed hot and cold lunch a lot more often since these containers hold their promise of staying hot for 5 h and cold for up to 7 h. The drink bottles stay cold for up to 12 h. Perfect for packing refreshing summer lunches! Camps start next week and the kids will need lunch, of course. 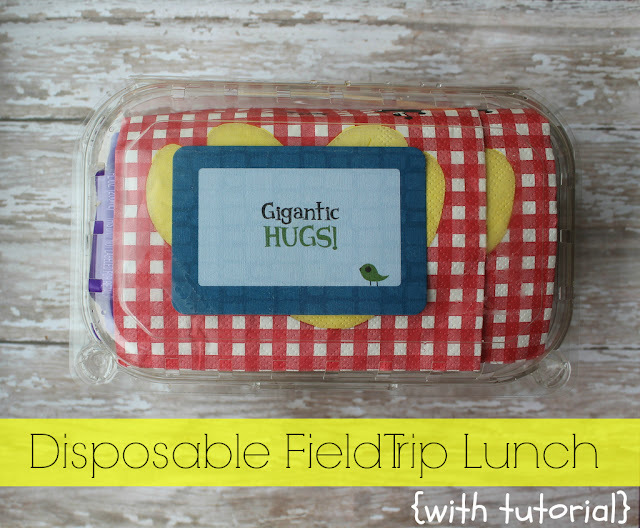 I wanted to share a few ideas of using Thermos food jars and FUNtainer drink containers to pack a fun and refreshing lunch for your kids. My kids love fruit and the Thermos food jars are the perfect container to pack fruit and keep them nice and cold until the kids eat at lunch! No matter what your child's favorite fruit is, they will stay cold and appetizing! I freeze my food jars over night before adding the fruit and it keeps them fresh and cool - perfect for watermelon! 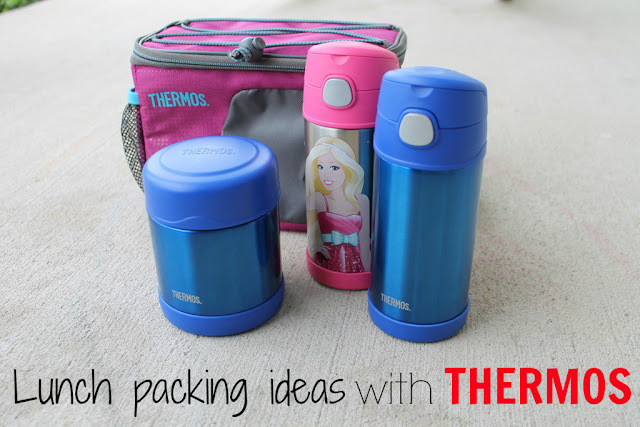 Here is an easy and fast lunch packed in the Thermos Radiance cooler. We packed watermelon in our food jar, water with ice in the FUNtainer drink container and a nitrate-free salami sandwich with iceberg salad and carrot slivers. Also packed are an apple and fig bar for snack throughout the day. 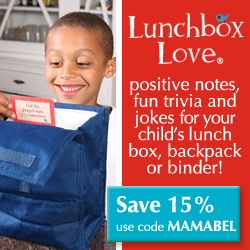 Also pictured a Lunchbox Love Card - they even have some for camp this year! Another kid favorite are fruit parfaits. 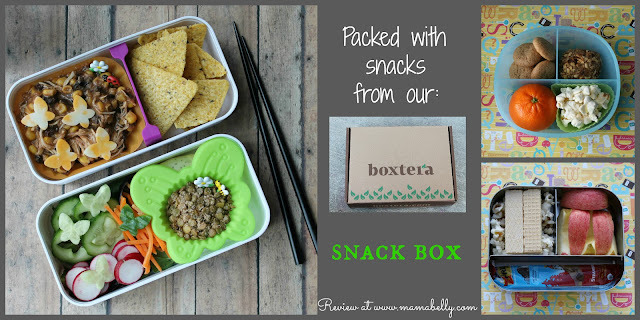 Easy and fast packed and fun and nutritious! Freeze the food jar overnight or for at least one hour before packing to keep the food cool! Add about two Tablespoons yogurt. Add granola - about 1-2 Tablespoons. Next, add a big tablespoon of fruit and repeat until jar is full. Paired with a few Italian cookies, a few Goldfish and a fruit snack this was a great lunch for both my 2nd and 5th grader! These FUNtainer bottles hold 12 oz of liquid and I love them since a juice box often just is not enough to drink - especially during these hot summers. The problem is: what to pack that appeals to kids and is healthy? The answer: fruit water! If you are not sure if your kids will like it, let them help fill a pitcher with water, ice cubes and frozen fruit and let them try! I won my skeptical kids over on the first try! To make your own fruit water, fill a pitcher with water and ice cubes and add a generous handful of frozen fruit (or two kids can help and add two handfuls of fruit to the pitcher). Let the water either infuse over night in the fridge (best results) or for at least 1-2 hours. We prefer frozen fruit because they seem to flavor the water faster. We love strawberries and blueberries but there are endless delicious combinations out there. 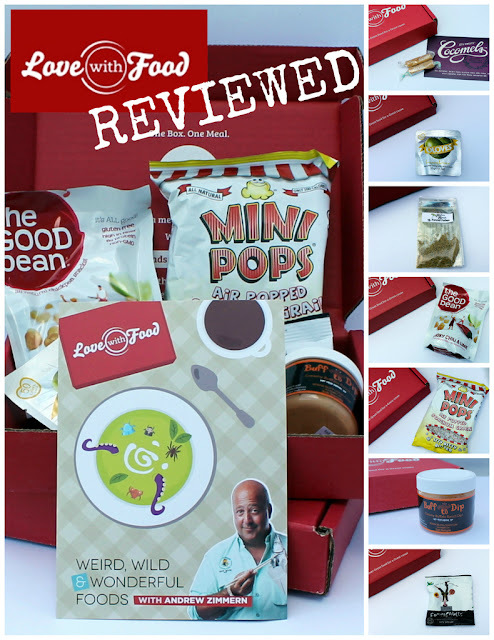 I love this MOMable post if you want to read more! Another refreshing drink is what we in Germany call "Schorle." Add fruit juice and water to the FUNtainer and finish with the selzer. The drink will be lightly carbonated and low in sugar since your mix two parts of water with one part of juice (still much better then a juice box!). We have had no issues with the carbonated drink if the FUNtainer was very cold when filled. 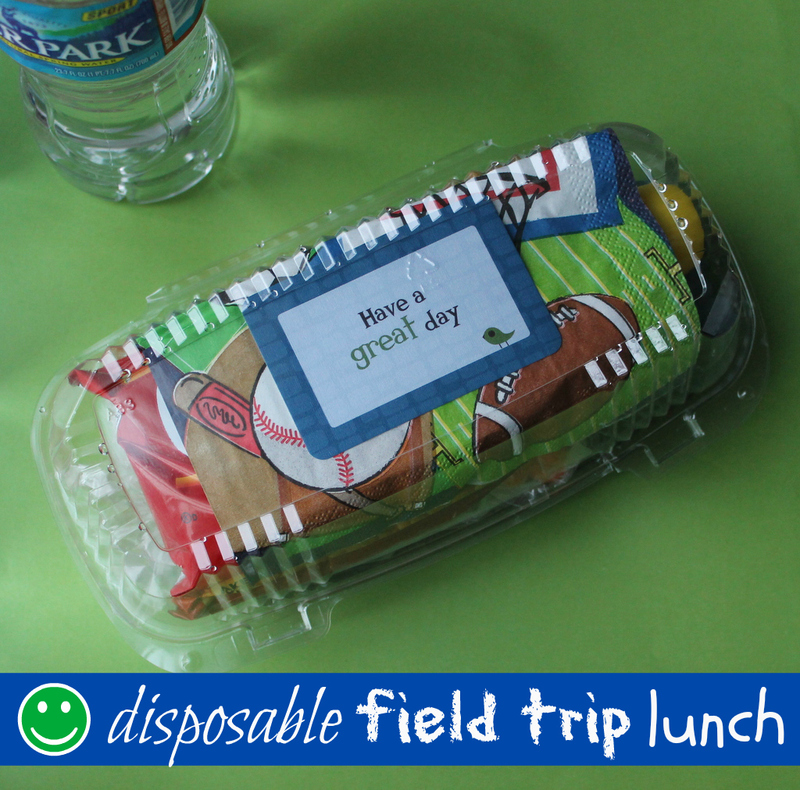 Have a fun summer and fun packing lunches for camp! We had a couple of field trips lately and I wanted to share our disposable field trip lunches with you. 1) I layer napkins into the strawberry container. 2) I add the apple or other heavier large items like an applesauce or pudding. 3) Try to fill up the bottom with the heavier items like a cereal or fig bar. 4) Next, I added the pocket sandwich. To prevent the peanut butter sandwich and grapes to be squished, I packed everything into a recyclable sandwich deli box. With the added fun napkin and Lunchbox Love Note - wishing them a great day - it was a fun and special day lunch. The bottle of water and deli sandwich box fit in a XL brown paper bag!